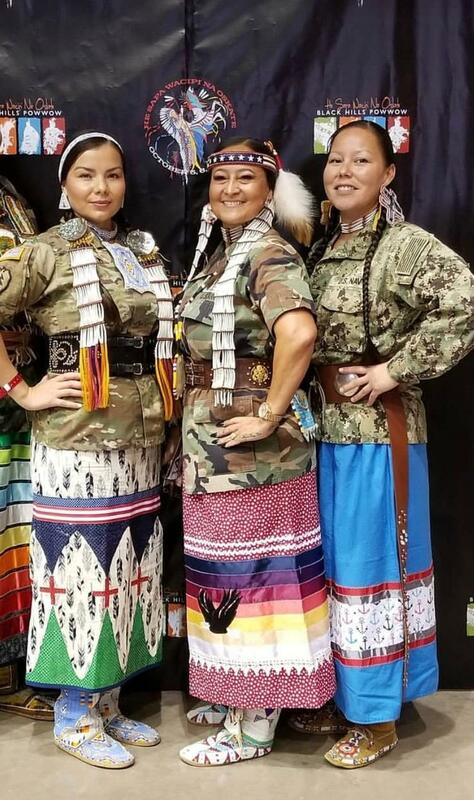 The Lakota Women Warriors | Recognizing service members, past and present. 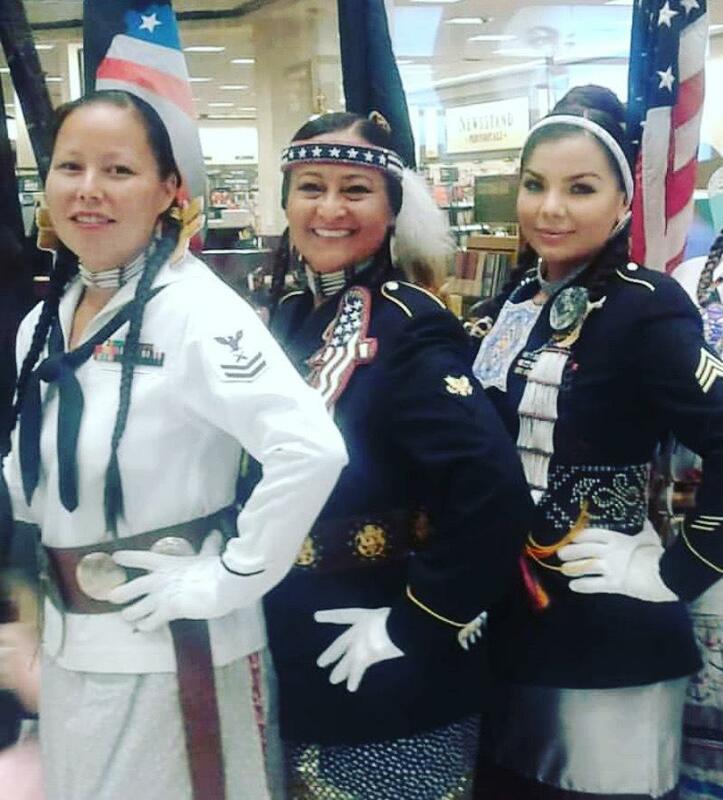 The Lakota Women Warriors color guard was a dream and idea in 2012. In October of 2014, the dream became a reality. The Lakota Women Warriors have many goals in mind but most importantly inspiring the youth especially young Native American Women. 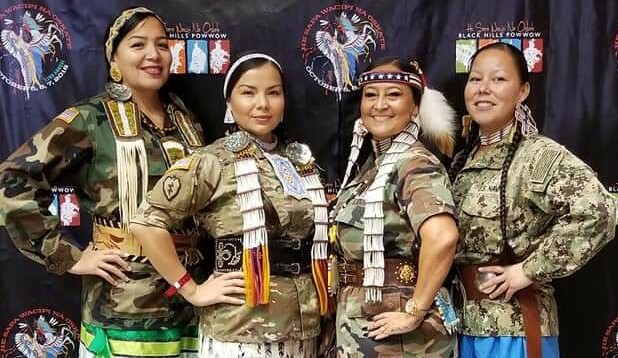 Each member of the Lakota Women Warriors has her own story, she represents her individual service branch, and the era in which she has served. All different but in many ways the same. 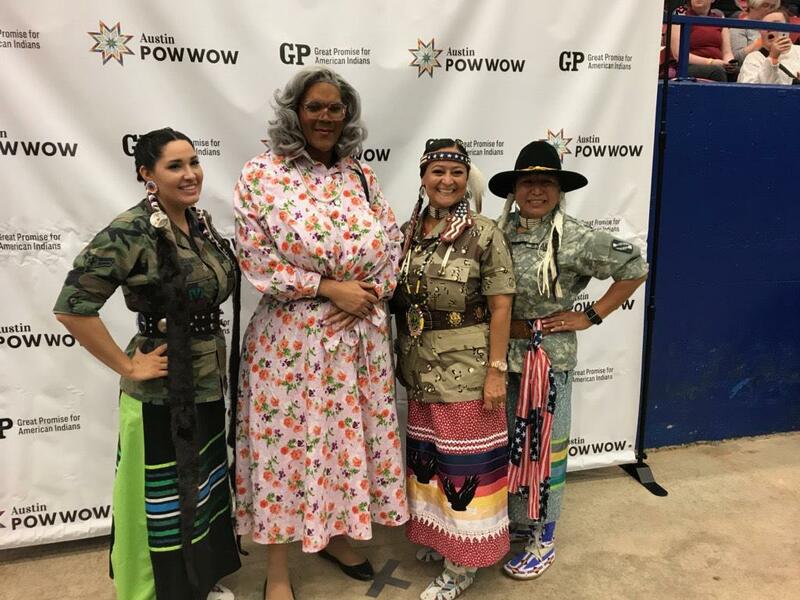 The Lakota Women Warriors have the common goal of working together and being positive role models for all Native American youth. 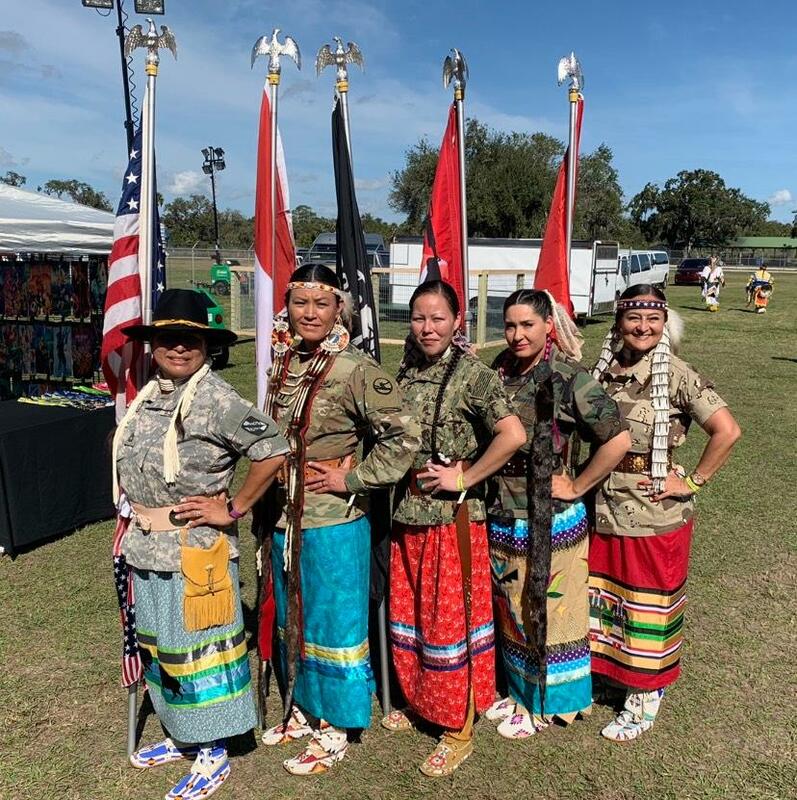 They dance for all warriors past and present but are very supportive of the women who have served. Women have historically been overlooked in the military and the group hopes to play an important role in getting women warriors recognized. 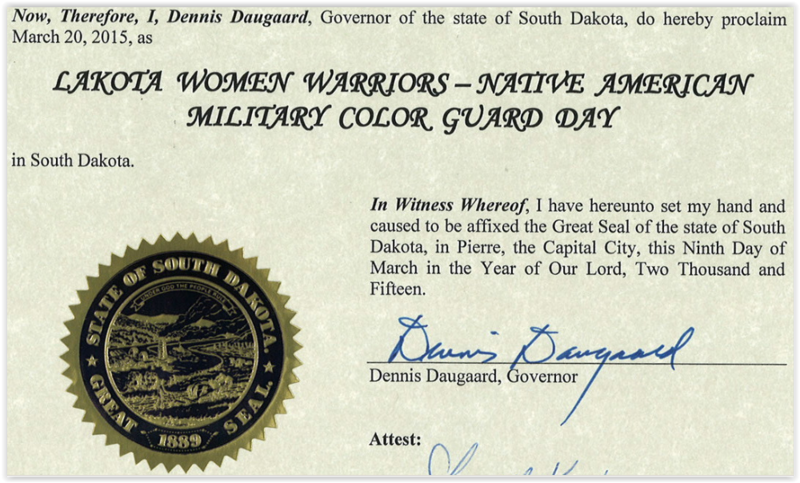 Amongst serving as positive role models, the Lakota Women Warriors want to recognize all warriors, past and present. CHAMBERLAIN –– She began with a dream, and then became a plan and the work of artistic geniuses made her a reality. On Saturday, Sept. 17, as wafts of Peji Hota (Sage) spiraled upward to greet her, “Dignity,” the 50 foot statue created by artist laureate Dale Lamphere and his team, made her debut before an audience of diverse backgrounds. The ceremony began with honor songs by Dakota Boyz Teca Youth Drum Group from Crow Creek and the Blue Bird Drum Group. Leading the grand entry and posting the colors were VFW Post #6436 and the Lakota Women Warriors Society. They were followed by Wambli Ska Dance and Drum Society and their royalty. State Sen. Troy Heinert, a Rosebud Sioux Tribal member, said it was fitting to welcome Dignity during this time when tensions are running high between the races because Mni Wiconi (sacred water) is being threatened. 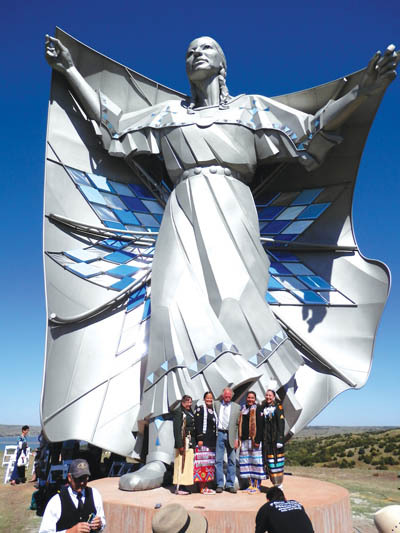 Also present to welcome her were Norm and Eunabel McKie and their family who gifted the $1 million sculpture to the people of South Dakota, which now graces a hillside overlooking the Missouri River in Chamberlain.